Music and design meet again next month, when a major exhibition exploring Serge Diaghilev’s role as artistic director and impresario of the Ballets Russes opens. 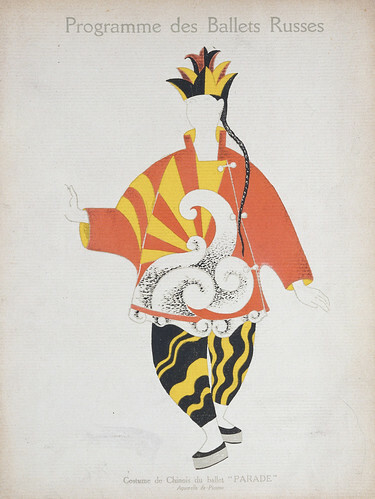 Diaghilev assembled an incredible cast of artists and designers to create the costumes, sets and graphic imagery for his company. London’s V&A will host work by Picasso, Chanel, Matisse, Bakst and Braque, alongside other original objects including props and scores. 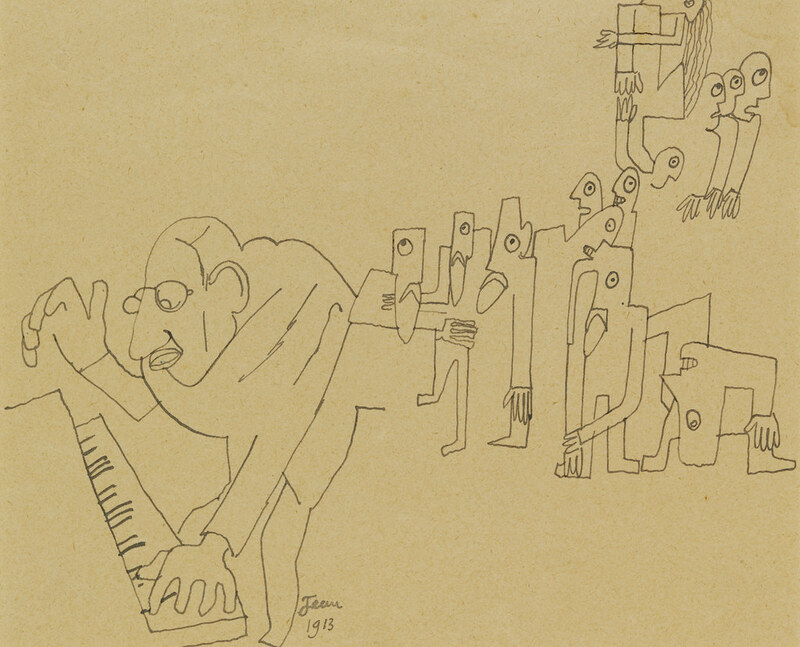 Top: Caricature drawing of the composer Igor Stravinsky playing the music for Le Sacre du Prentemps, Jean Cocteau (1913). V&A images. The work of the Ballet Russes between 1909 and 1929 was groundbreaking, culminating in the infamous riot at the premier of Stravinsky’s The Rite of Spring. 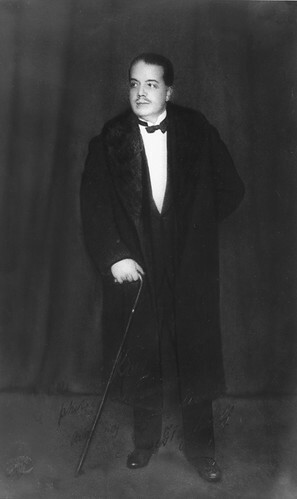 It was here, according to Jan Kounen’s new movie Coco Chanel & Igor Stravinsky, that an alleged love affair between the designer and the composer began. But the story of the company’s relationship with design is just as arresting. 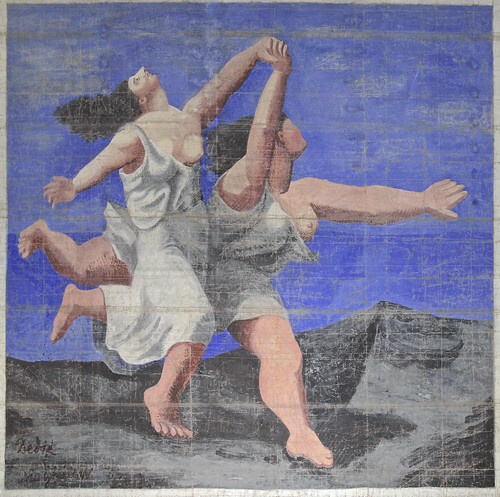 Above: Front cloth used for Le Train Bleu after a painting by Pablo Picasso (1924). ADAGP, Paris and DACS, London 2010. 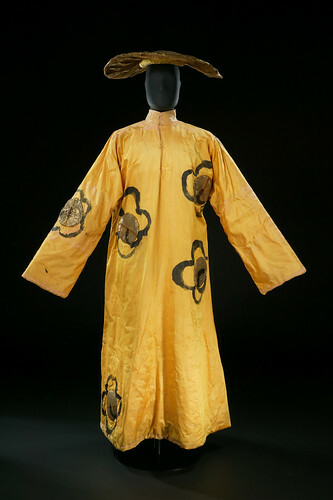 Below: Costume for a Mandarin in Le Chant du Rossignol, Henri Matisse (1920). Succession H Matisse/DACS 2010. The exhibition graphics will be by Chris Bigg - best known for his work with Vaughan Oliver at 4AD, and more recently more music design at David Sylvian’s Samadhisound label (below).